Two Great Classes Coming Up This Saturday…. Back by popular demand: Machine Embroidery Seminar 10am-2pm & Serger 101 3pm-5:30pm! Join Marje Agostini @ Humble Sewing Center this Saturday to learn what it takes to launch and run your very own Machine Embroidery Business! Supply List: Your serger in good working condition. (Unfortunately no refunds will be given if your machine breaks down during class.) Scotch tape, pen, 4 cones regular serger thread, 1 spool of poly yarn or wooly nylon serger thread, scissors, all of the accessories and if possible the manual for your machine. This entry was posted in Classes, News, Serger 101, Upcoming Events on January 23, 2012 by Jenny Gabriel. It’s the very first Monday of the new year! Aack! Only 51 Monday’s to go…. SewVac Outlet is starting the year off right with offering a number of helpful events to assist you with your machine embroidery and serger adventures. Read on to see what’s coming. Sign up early – limited space is available. 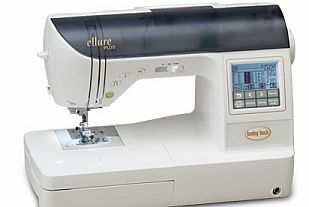 Register now for ONLY $30 and receive a FREE Gift from Floriani & Sew Vac Outlet Valued at $599! Join us for pure embroidery fun and fabulous gift ideas! Learn how to choose the right stabilizer for EVERY project. Learn how to embroider on difficult fabrics such as velvet, silk, leather, and suede. Learn about the latest innovations in hooping, stabilizers and machine embroidery tools. In this seminar you will learn what stabilizer to use and when to create the perfect embroideries. 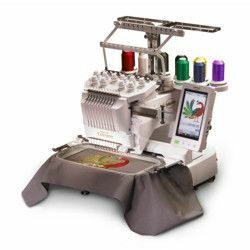 No more ruined garments, puckered embroideries, or off-center embroideries. Anyone can create beautiful embroidery with the right techniques and secrets. At the end of this 4 hour event you will never again feel intimidated when you look at beautiful creations. This class will challenge those with years of experience while inspiring the novice to believe in their own gifts and talents. This entry was posted in Classes, News, Serger 101, Upcoming Events and tagged embroidery business seminar, machine embroidery stabilizers, serger class on January 2, 2012 by Jenny Gabriel.